Family travel is far more fun when there are opportunities for kids to let loose, and we know of several places that cater to their youngest patrons. 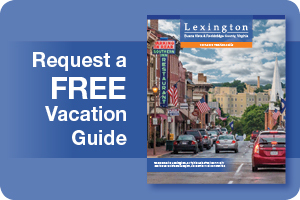 When you plan your next day off or weekend getaway, incorporate one or more of these stops, and be sure to find our local playgrounds for quick breaks. Fairy Forest at Boxerwood Nature Center and Woodland Garden. Boxerwood Nature Center and Woodland Garden sits just outside Lexington city limits. Once a private sanctuary of rare and unique trees and shrubbery, Boxerwood is now a reprieve open to any nature lover who finds it. Children relish freedom in their own space that includes plenty of opportunities for their imaginations to run wild. A stream, hollowed log, outdoor kitchen, shade and sun ... this is a place to create new and lasting memories. If you can pry them away from the children's garden, set off on a quest to find the fairy garden. The paths that meander through Boxerwood lead to wetlands crossed by planks and stumps, mature hardwoods complete with swings, a giant wooden chair for silly photos, and a stage where the Music in the Garden summer concert series is held. The Caverns at Natural Bridge are the deepest on the East Coast. Witness the wonder on little faces as they see the amazing underground world of stalactites, stalagmites, rivers, and lakes. After the tour, mine for gems or build a bat house to take home. The Virginia Safari Park is Virginia's only drive-through safari adventure and home to a variety of mammals, reptiles, and fowl. Feed the giraffe at eye-level, welcome a budgie to your shoulder in the aviary, feed a llama (before he spits at you!) from your car window, or hop around with a kangaroo in his walkabout. Picnic area and animal feeds are available. Natural Bridge State Park is Virginia's newest. The Natural Bridge is a Virginia icon and witness to Native American settlement and Civil War ammunition production. It's great for families not only because of its history, but also because it allows for easy outdoor exploration. 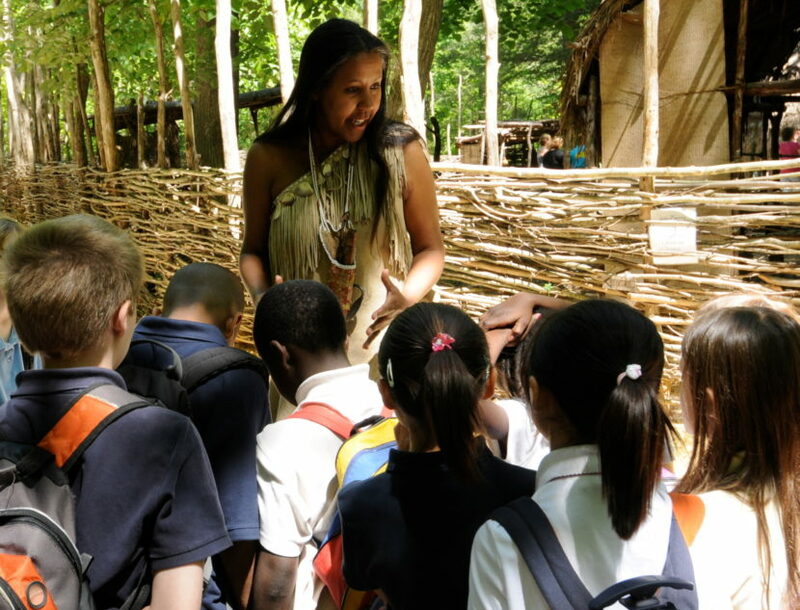 Walk along Cedar Creek, beneath the soaring limestone arch, and up the trail to see the Monacan Indian interpretive village. Continuing on will lead to Salt Peter Cave, the cave from which the Confederacy mined salt peter for ammunition during the Civil War. The state park has other trails to offer, as well as ranger-led informational hikes, too. Our favorite weird and wacky family-friendly destination is Dinosaur Kingdom II in Natural Bridge. Keep an open mind and a sense of humor when you experience this twisted take on the American Civil War. You'll laugh at the amazing creations (and child-like imagination) of our nationally-known fiberglass artist Mark Cline!